The Royal Windsor Steam Express offers a unique railway experience with dining and non dining options to suit your occasion and budget. Treat yourself to luxurious Pullman Style Dining, with a Champagne Brunch served in elegant carriages, you will be transported back to the golden age of steam travel. Our train has its own specialist onboard kitchen where our chef prepares fresh meals, and our friendly staff will tend to your needs at your table. First Class or Standard Class passengers may order from a range of delicious snacks or hot and cold drinks. 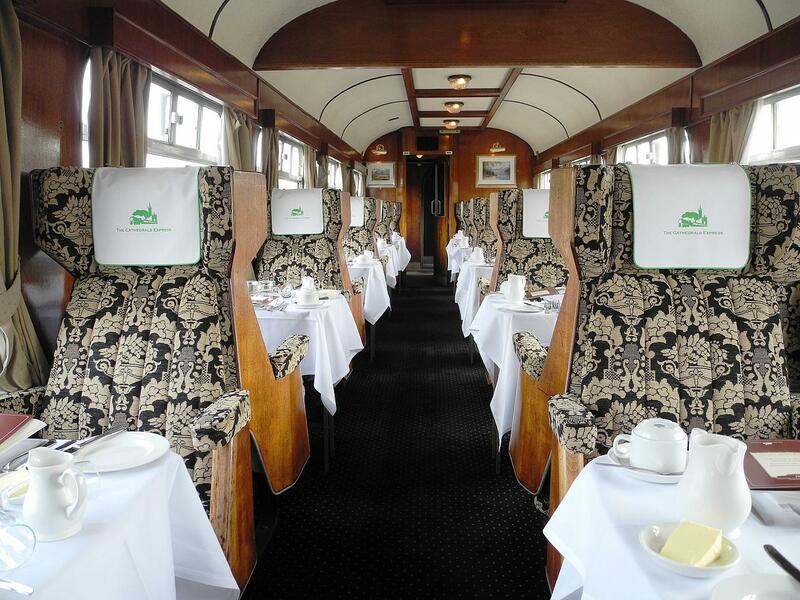 Pullman Style provides a premium railway dining experience. Passengers are seated either in the original Metcam Pullman Carriages or refurbished First Class carriages with wood panelling, comfortable seats, table lamps and curtains at the windows. They provide our most comfortable seats with the most leg room, and combined with the highest level of service, the atmosphere evokes memories of a bygone era. You will be welcomed on board with Champagne before enjoying a delicious English Brunch on the journey to Windsor. Pullman Style Dining carriages offer tables for 4 and (for a supplement and subject to availability) tables for 2. Passengers are automatically seated on tables for 4 so you may be seated with other passengers if you have less than 4 in your party. Should you wish to reserve a two-seat table, you may do so for a small supplement, subject to availability. See more images of our food and carriages by clicking here. 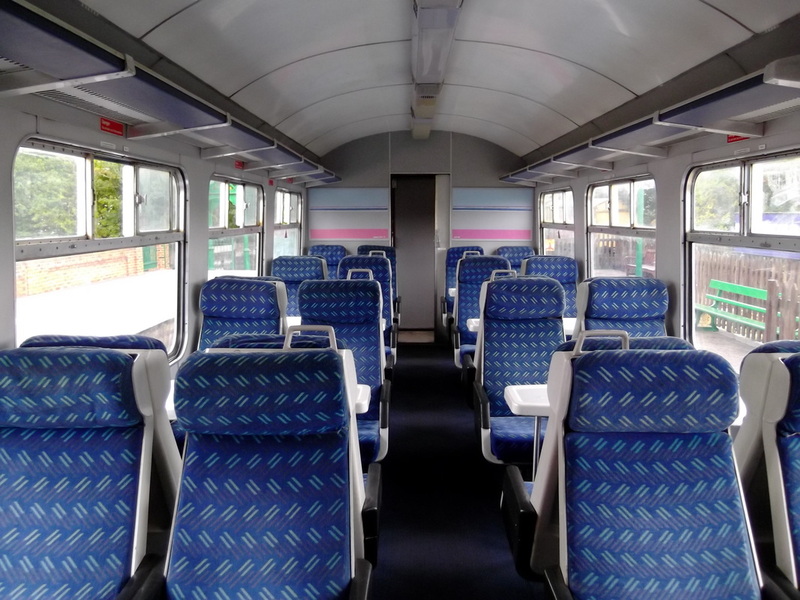 First Class passengers are seated in open plan carriages with tables for 4 and tables for 2 (for a supplement and subject to availability) or parties of 6 may book 6 seat Wizard compartments in a traditional compartment coach. Passengers are automatically seated on tables for 4 so you may be seated with other passengers if you have less than 4 in your party. Should you wish to reserve a two-seat table, you may do so for a small supplement, subject to availability. To reserve seats in a Wizard compartment please call the booking office. Food and drinks may be purchased on-board. You are also welcome to bring your own food, drink or hampers on board. See more images of our carriages by clicking here. Passengers who opt to travel in Standard class will be seated in 1960s open carriages with large picture windows. 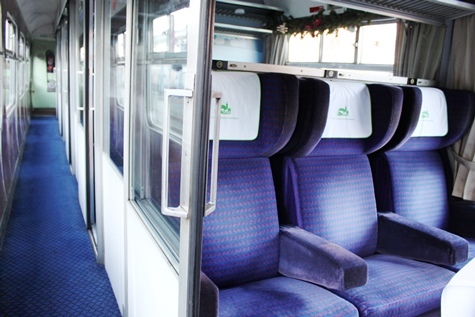 The carriage has individual seating (as opposed to bench style seating) around tables of four.